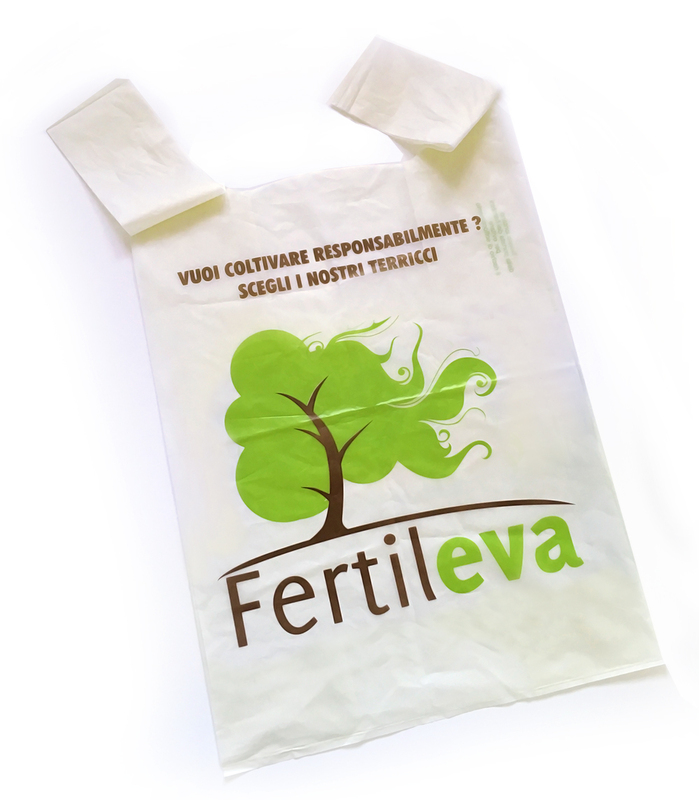 Fertileva and Fertil launched the “Ecological Shoppers Campaign”, in collaboration with Novamont -manufacturer of Mater Bi bioplastics- in order to raise awareness of the use of biodegradable and compostable certified bags. 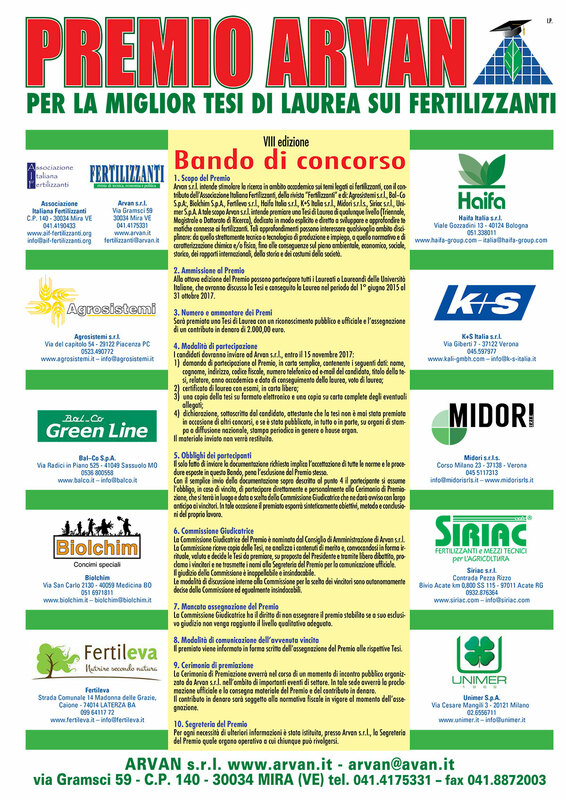 The first step of the campaign was the distribution of biodegradable and compostable bags to Fertileva and Fertil retailers in Puglia, Basilicata, Campania, Calabria and Sicilia. Garden centers, supermarkets, nurseries and specialized shops in gardening articles have now actively supported the initiative. 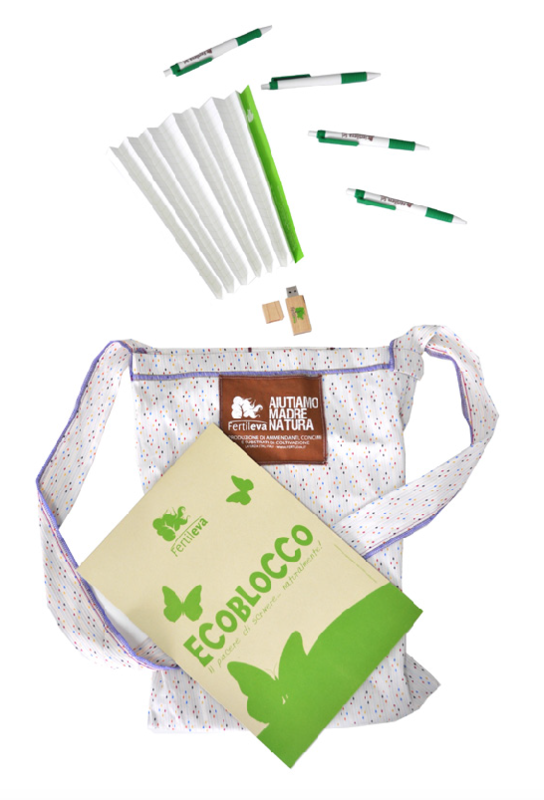 Thanks to their support, the biodegradable and compostable bags are directly reaching the Italian southern families, where people can use them for the biodegradable waste recycling. Fertileva responsible approach towards the environment and towards its players goes beyond the productive process. The company structure aims to optimize the resources and to minimize the waste. 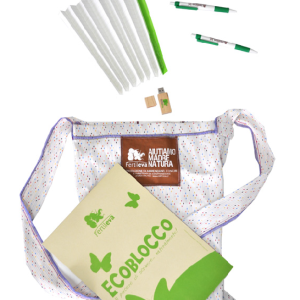 For the communication activities, the company uses recycled materials (as in the case of shoppers realized with scrap materials by women detained in the jail of Lecce), recyclables materials (as pens made in compostable plastics) or materials coming from FSC-certified sources. Fertileva participates to the initiative launched for the eighth edition of the Arvan Prize. 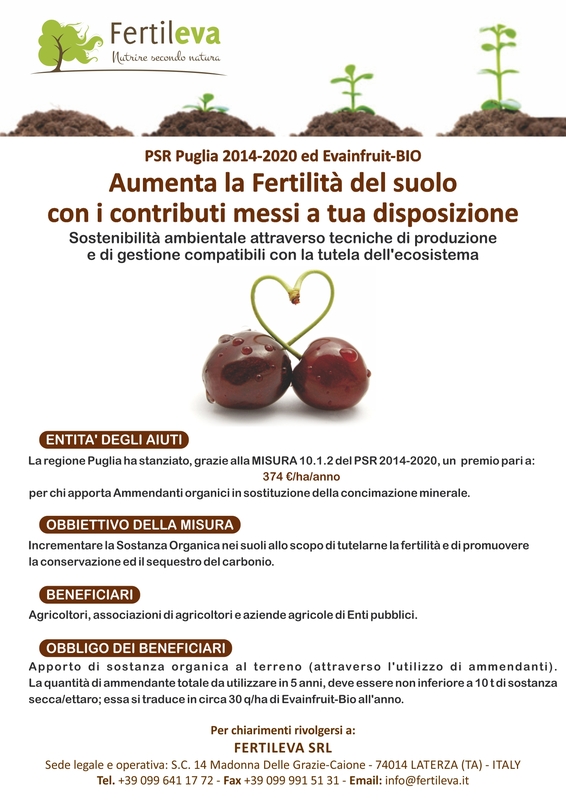 Ph.D.) explicitly and directly dedicated to develop and deepen contents related to fertilizers. These in-depth analyses can affect any disciplinary field, from the strictly technical or technological of production and use, to the regulatory and chemical/physical characterization. They can also have consequences on the environmental, economic, social, and historical level, on international relationships, and on the history and customs of the society. 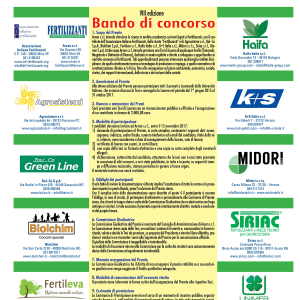 Puglia has allocated an award of € 374/ha/year to everyone who uses organic soil improvers. 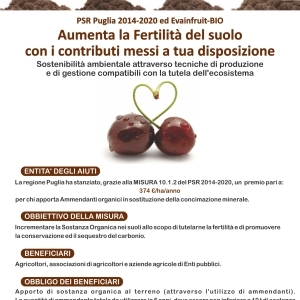 The goal is to increase the organic matter in soils, in order to safeguard their fertility and to promote carbon preservation and sequestration. It is available to all farmers, farmers’ associations and agricultural companies to public bodies.